The term “ABORTION” is nothing but a respectable way of using the word “MURDER”. ABORTION is defined as a procedure to end a pregnancy. 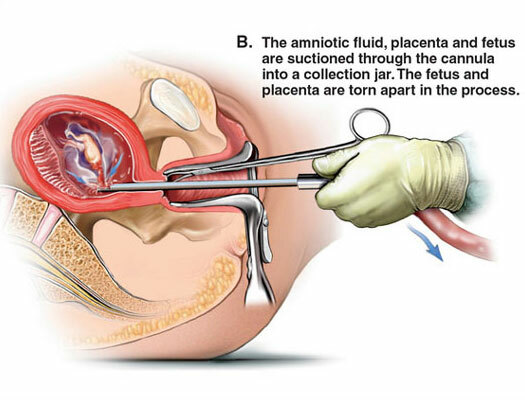 It uses medicine or surgery to remove the embryo or fetus and placenta from the uterus. The procedure is done by a licensed health care professional. Sometimes abortion is due to personal reasons and sometimes due to social pressure. Termination of pregnancy though is a personal decision but most of the time it is to prevent oneself from being treated as a so called bad girl in the society. Because pregnancy before marriage especially in a country like India is regarded as taboo. 1: Many Abortion Committed Under Pressure. Increasing pressure to abort may come from close people to the pregnant, such as: husband, parents, doctors, partners, employers, abortion businesses which profit from these abortions financially. 3: Some of the most common reasons are to postpone childbearing to a more suitable time or to focus energies and resources on existing children. Others include being unable to afford a child either in terms of the direct costs of raising a child or the loss of income while she is caring for the child and there is lack of support from the father. Have You Read: List and benefits of Exercise During pregnancy ? 4: Relationship problems with their partner, a perception of being too young to have a child plays a Major reason for going for ABORTION. 5: Another major reason behind it being, many are given fake information by experts about fetus development, abortion risks or alternatives due to which some aren’t advised very well about the risks of the abortion and few aren’t aware or deceived about available alternatives for abortion. 1: Death rates increase 7 times more after abortion. 2: Suicide rates increase 6 times more after abortion as most women go through emotional trauma and fail to handle such situations. And sometimes the guilt of killing leads them to take up such drastic step. 3: Abortion clinics fail to detect any coercion. 4: Force to abort can increase violence rates. 5: Abortion not only causes physical death of a being but also leads to mental death i.e the death of inner conscience.